That slogan has found it’s way into the minds of most athletes who tell themselves “just five more push ups… just three more reps… just two more miles… just one more lap, etc.” Unfortunately, it’s a slogan which creates problems. While some muscle soreness and stiffness after a serious workout is acceptable, pain is not because pain is the body’s way of saying something has gone wrong, either doing too much, too often or doing it incorrectly. When that message is ignored, eventually the result will be an injury requiring rest, recovery time and possibly surgery. It doesn’t have to be like that. There is a way of making demands on the body so that athletic performance is optimal but without pain and injury. And the path for doing that is through the ancient body science of yoga. 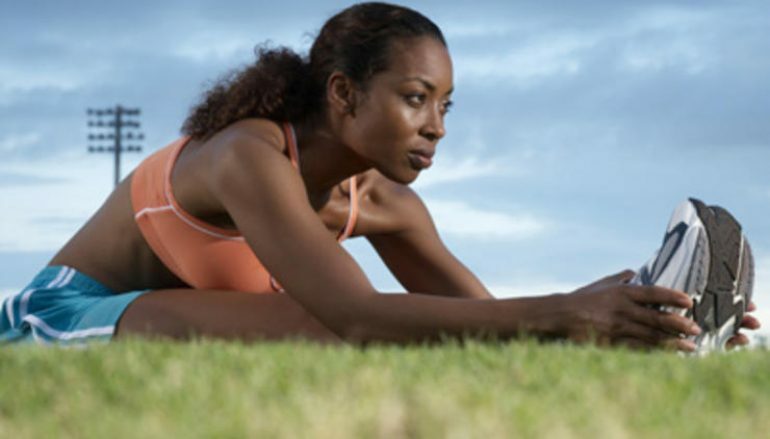 Here are a dozen ways yoga helps with athletic recovery and, in the process, makes you better at any sport. #1. Yoga builds strength. A common error about yoga is that it’s merely about stretching and flexibility. 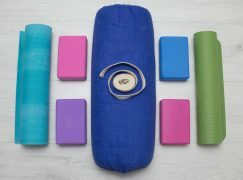 The fact is that yoga develops muscle definition and size. I was at a yoga workshop with an instructor whom I had not met before. When he walked into the room I was amazed at how much muscle tone and shape he had all over his body. I asked “do you lift weights?” His response was memorable: “Yes, I lift my own body weight through yoga!” He explained that he did arm balances and inversion poses to strengthen arms; that he held longer leg poses such as warrior and triangle to strengthen leg muscles; and that he did yoga balance poses such as tree and warrior III to increase leg strength simply by putting all the body weight on the one standing leg. #4. Yoga enlarges lung capacity. To perform optimally an athlete’s body and brain need steady and ample infusions of oxygen. A proper yoga class always incorporates pranayama (breath exercises) to increase lung capacity and improve breath efficiency. Also, the various yoga stretches, back bends and twists open up tight chest muscles and expand the rib cage allowing the lungs to take in even more oxygen, something very beneficial for the muscles. Furthermore, the deeper breathing promoted by yoga stimulates the parasympathetic nervous system keeping the body calm and relaxed. This gives an athlete an important competitive edge over those who struggle with their breath. 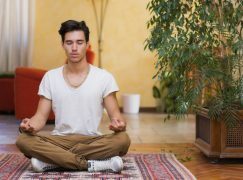 One of the best breath exercises and one often offered in a yoga class is called “equal” breathing. The Sanskrit name for this yogic breathing is Sama Vritti. ‘Sama’ means ‘equal’ and ‘vritti’ means ‘move’ indicating equal movement of the breath. Our English word ‘same’ is derived from the Sanskrit ‘sama’. Doing equal breathing is simple: one inhales through the nose to a count of five and then exhales to a count of five. With practice the cycles can naturally be prolonged to counts of eight, ten and even twelve, effectively increasing lung capacity. #5. Yoga improves balance. Outside of yoga there are few, if any, other exercise systems which require you to stand on one limb for a prolonged period of time. Yoga is filled with a variety of challenging balancing poses such as tree pose, balancing half moon, eagle pose, extended hand to big to pose, dancer pose, warrior III pose. In addition, there are other types of balancing poses to practice and master such as headstand, handstand, side angle. Yoga balance poses intentionally reduce stability in order to challenge the central nervous system to control the body. This improves our proprioception, the process by which the body can respond to the environment and sense which muscles to activate or deactivate to maintain a desired position. When proprioception is optimal, movements are natural, quick, responsive, and protective. We don’t lose our balance when something in the environment surprises the body. #6. Yoga heightens mental focus. 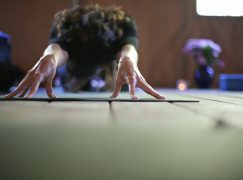 According to a study published in the Journal of Physical Activity and Health, those who did a mere twenty minutes of yoga “were better able to focus their mental resources, process information quickly, more accurately and also learn, hold and update pieces of information more effectively” than other subjects who did aerobic exercise such as walking or jogging for twenty minutes. An athlete who can maintain mental focus is better equipped to maximize confidence while minimizing disappointments, doubts and distractions. #7. Yoga leads to quicker recovery. Many athletes experience post-workout issues such as aches, pains, sore and energy depleted muscles. Many yoga poses done after a workout can bring relief and open the body up for a quicker recovery. Rather than struggle with days of muscle discomfort or joint pain, yoga can renew and restore weakened areas. For example, after a long training run when the legs are totally exhausted legs-up-the wall pose is highly restorative because it reduces blood pressure in the legs when they are placed above the heart, drains tension from the legs, feet and hips, calms the nervous system, and evokes a meditative state especially when done for 10 to 15 minutes. #8. Yoga strengthens the core. Poses such as forearm plank, boat, warrior III, one legged downward facing dog, side plank, crow, and chaturanga strengthen and stretch the abdominal muscles. When the muscles in the core – those around the trunk and pelvis – area are healthy, strong and supple, they take pressure off the spine preventing back pain and injury and provide better balance and stability. Furthermore, strong core muscles make it easier to do routine daily actions such as getting something from a high shelf, bending down to tie your shoes, lifting heavy bags of groceries. Weak core muscles leave you vulnerable to poor posture, low back pain and muscle injuries. #9. Yoga strengthens the “other” core. There’s a reason why yoga is done in bare feet and it’s this: barefoot activities can greatly improve balance and posture while preventing common injuries like shin splints, plantar fasciitis, stress fractures, bursitis, and tendonitis in the Achilles tendon, says Patrick McKeon, PhD., a professor of sports medicine at Ithaca College’s School of Health Sciences. Dr. McKeon says that foot muscles provide core strength for the legs as abs to for the back. Going barefoot, he says, improves the communication between the larger “extrinsic” muscles of the foot and leg, the smaller “intrinsic” muscles of the foot and the brain. That communication is a powerful tool for maintaining healthy foot core strength preventing injuries from the knees down which plague many athletes. Dr. McKeon says the major source of communication breakdown between feet and brain are shoes. He recommends shedding footwear as much as possible and doing yoga because it’s a done barefoot. A regular yoga practice can prevent these ten common athletic injuries and, if they occur, can help by bringing relief and quicker recovery. Most athletes, recreational or professional, usually experience two or more of these at some time. How to do Yoga at Work!